» What Will You Learn in Personal Training Courses? Are you looking to take a course to become a personal trainer? We’re pretty sure you know just how important it is to get a Level 3 Personal Trainer Certificate to operate in the UK. The qualification is also critical when it comes to advancing your skills as a personal trainer. So what is this course all about? What will you be taught on the course? All these questions will be answered in this article so you can get a better idea of what you’re going to learn when training to become a professional personal trainer. For the most part, personal training requires you to have an in-depth knowledge of the human body and how it works. The Level 3 Personal Trainer Certificate provides just about everything you need to know about the human body and more! The course has a syllabus of seven units which covers several aspects of health, fitness, and exercise — let us take a look at each of them. Every personal trainer needs to learn a number of things about the human body. For starters, you’ll need to learn about the muscle groups as well as how they can be enhanced through exercise. You’ll also learn about other important parts of the body including the lungs, heart and wider cardiovascular system and how it helps the body to function properly. The course will also teach you about the risks of over-exercising so you can be knowledgeable enough to help people exercise safely and prevent injury. This section of the course will let you in on how to teach clients to exercise the right way — you’ll learn how to work with clients on a personal level. You’ll also let them know how to judge manageable workloads and build their confidence when exercising. As a personal trainer, you’ll have to enlighten your clients about the importance of repetitions and rest periods. Your guidance will also give them the ability to exercise without your direct supervision — they’ll get to exercise safely and effectively on their own. In other words, the course will teach you how to train clients to be self-sufficient so they can do exercises together when they’re outside your supervision. As a qualified personal trainer, it’s your responsibility to look after the health and safety of your clients or people under your supervision. 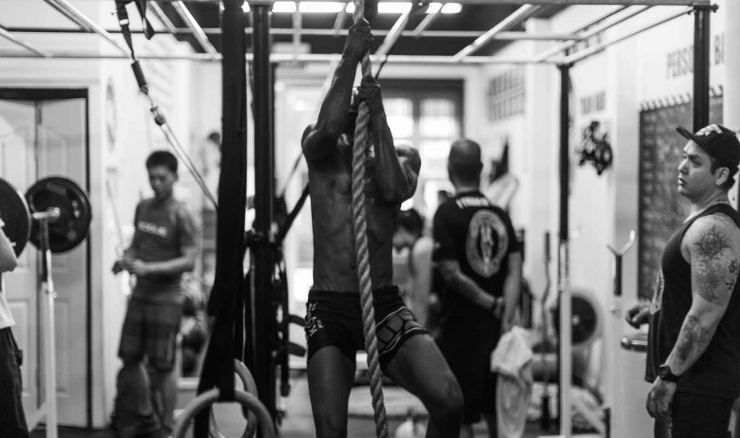 This particular unit will enlighten you about the several different injuries that are likely to occur in gyms as well as relevant steps you should take to prevent them from happening. Today, personal trainers train their clients in various environments besides the gym. This could be in fitness boot camps, parks, a dedicated studio or even a client’s home. This is exactly where this unit comes into play — it teaches you how to expect possible health and safety issues in different environments as well as how to handle them if they do occur. Let’s face it; you cannot succeed in this career without the ability to communicate effectively with your clients and motivate them when they’re lagging behind. The thing is, you’ll be working with a wide variety of clients with different fitness goals and personal challenges to overcome. So, besides instructing your clients how to train, you’ll also have to motivate them and help them recall exactly what prompted them to train. As a personal trainer, you would meet clients who are enthusiastic about their fitness goals, and this group of people requires little to no motivation — they already have the drive to meet their goals. However, there are those who need you to encourage them in the course of the journey, especially clients who are struggling to lose weight. So, this section will teach you everything you need to know about speaking to clients during training sessions, body language, eye contact, non-verbal communication, observation methods as well as permissible and non-permissible touching to correct technique. You will also learn how to communicate the progress of your training sessions with clients, and this can be achieved by creating reports containing relevant data recorded during training sessions. This is yet another way to keep clients motivated and fired up to achieve their fitness goals. Healthy eating is critical to those who are looking to get fit and healthy — it’s not just about physical exercise and the like. In other words, the food and drink that one consumes can affect or determine the level of his or her health and fitness. Today, some people exercise for months but fail to see relevant results because of their poor diet — this can be very frustrating. In this unit, you’ll get to learn about various nutrients including carbohydrates, protein, fat, and sugar. It will also let you in on how much of these substances the body needs as well as what it uses them for. And most importantly, you’ll get to learn about the varieties of food that are harmful to the body so they can be duly avoided. This unit will also teach you how to create diet plans for two groups of people including those who are looking to lose weight and those doing bodybuilding and strength training. As for weight loss, you’ll learn how to create diet plans that are chock full of all the essential nutrients the body needs while still containing a certain amount of sweetness to help clients cope with the change. As for bodybuilding and strength training, you’ll learn how to set up effective diet plans that will help your clients develop the size and strength of their muscles to a point where they will be satisfied and happy with the result. In this unit, you will learn how to create and design comprehensive fitness campaigns for clients based on their fitness objectives. You’ll also get a better understanding of the importance of having several sub-goals in the course of the fitness campaign. It’s important to note that most clients quit in the course of a campaign when they feel like they are not progressing toward their ultimate fitness goal. So, creating separate achievable milestone goals is sure to help clients feel that they’re on the right track and that’s great. This unit will teach you everything you need to know when it comes to recognizing the areas of a client’s body that needs attention. Doing this will help them achieve their desired goals. You will also learn how to design exercises for training programmes that will be relevant to your client’s needs. In personal training, it’s one thing to design programmes and it’s another to deliver it to your clients. In this unit, you will learn how to determine the current fitness level and capabilities of a client, so you can figure out how much you can push them in one session and otherwise. So there you have it! We hope the information in this article has given you a better understanding of what to expect from the Level 3 Personal Trainer Course.